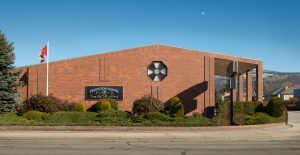 Providence Funeral Homes & Crematorium was established in 1983 by the Werner Henseleit family on the 200 block of Martin Street in Penticton. Later they purchased a house on the corner of Bennett and Calgary Ave. to renovate and function as a full service funeral home. In 1987, a major renovation was underway and a larger chapel and reception area were added. In 1998 the Henseleit business was sold to an American Company (SCI). In February 2006, Providence Funeral Homes & Crematorium once again became a family operation with the purchase by Ron and Taraleigh Crooker.